Windows XP, by Microsoft, and patented under Windows NT, the company’s family of operating systems, is described as Microsoft’s flagship operating system especially for home and professional use. In the 1990s, Microsoft began developing the first iteration of XP under the codename Neptune which was developed concurrently with Windows 2000 successor Odyssey. Windows 2000 was supposed to be updated along with XP’s entry into the market because XP targeted personal computers while Windows 2000 mainly targeted the commercial market. But that would not be the case because at the start of the year 2000, the two projects were put on hold to give way to Whistler. Whistler was a codename given to a planned operating system that would favour both the consumer and commercial market at the same time. The reason why XP gained a lot of popularity was perhaps because of its advancement and subsequent rollout from Windows MS DOS to a more stable and secured version, probably because it maximised on the Windows NT potential. 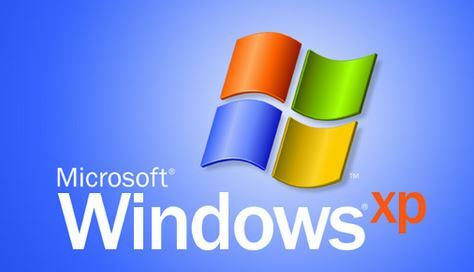 Windows XP is listed as the first of its kind to help fight piracy in software because it required the product to be activated by users during installation. Among other things, factors such as hardware support, flexible and easy to use interface, and multimedia additions were some of the features that culminated in this version of Windows, taking all the good parts from its predecessors. A billion copies have been reported as sold by mid 2014 as Windows XP maintains its popularity even after the release of fancier and more intuitive user interface versions. When Windows Vista was released, Windows XP maintained its market value and position. The reason behind this is mostly linked to Vista’s negative reception due to performance issues and other related operation problems. Business reviews of 2010 and 2011 showed that XP had been on top of the share market until the close of 2011 when Vista’s successor, Windows 7 overtook it in terms of sales and overall position in the market. Probably because users wanted to adapt to something new, and with the advancement of technology, sales on Windows XP continued to decline from the period Windows 7 took over. While Microsoft had announced in April, 2009 that it would discontinue XP releases, it wasn’t until April 2014 that support on this software was halted. But why are sales of XP still fairly high? Well, according to expert reviews, other copies of Windows in some countries such as China have been found to be expensive when compared to XP. In fact, it was reported that at the close of January 2014, computers running this operating system had close to 50 percent share in the Chinese market. Windows XP had its releases in form of service packs whereby each service pack contained a minor upgrade aimed at addressing security threats as well as performance improvements. The first service pack was released to consumers back in 2002, while the last one was Service Pack 3, which was released in 2008.